Is It Possible to Get a First-time DUI Case Dismissed? The short answer is yes, it is possible to get a first-time DUI case dismissed, but it will never happen unless you hire an experienced DUI attorney to fight for you. Although some people may think they can simply waltz into the courtroom and defend their own cases, if you’ve been arrested for a DUI, the evidence is stacked against you unless you have someone on your side who understands what it takes to successfully have a DUI dismissed. Experienced attorneys have access to tools you won’t understand how to utilize. DUI lawyers will examine the legality of the stop itself, the basis of the breath or blood test you submitted to, and the factors revolving around your driver’s license suspension. Because they know the law, attorneys will be able to scrutinize every element of your case. An unlawful traffic stop. An officer must have reasonable suspicion of a crime to pull you over. That means, he or she is not authorized to pull you over randomly (unless you’ve pulled into a DUI checkpoint, which can be a different situation). If your attorney is able to prove you were unlawfully pulled over—for any number of reasons—he or she will have grounds to have your DUI dismissed. No probable cause for a breath or blood test. You have the right to refuse a breath test if the officer doesn’t have probable cause to arrest for DUI. While an officer is within his or her right to request your submission to a breath test, he or she may not actually have sufficient evidence to arrest you for a DUI until/unless you submit to this test and return positive results for driving while intoxicated. Breathalyzer wasn’t calibrated prior to use. The police agencies have strict standards by which they must calibrate their equipment. If this wasn’t done properly, it’s possible your results were inaccurate, which could be cause for dismissal. Medical conditions that skew test results. In some cases, people who have been arrested for DUIs have medical conditions that can affect the results of breathalyzer tests e.g. gerd. If this is your situation, the results may not be admissible in court. Inappropriately administered blood tests. Blood tests have very strict guidelines by which they must be administered. A misstep in this process can cause the results to be invalid, as far as the court is concerned. Suppress the blood test results because they are a warrantless search of your body for evidence of a crime. Is There Anything You Can Do to Help Your Case? If you don’t have any prior charges, that will generally look good and help your case overall. You’ll also want to show remorse in the courtroom. These two things alone give you the chance of a better outcome than people who do have prior trouble with the law and people who don’t show remorse. Additionally, if there are issues with the police report—or if the arresting officer did not follow proper protocol—the chances your case will be dismissed (or reduced) increase. If you want any chance of having your DUI case dismissed, you’ll definitely want to hire an attorney. In many cases, you should expect to have your case taken to trial so a jury can decide your fate. The courtroom is a serious place, and when you’re putting your future into the hands of a judge and jury, it’s important to act appropriately. Make sure you talk to your attorney long before you head into the courtroom to ensure you understand how you should dress, speak, and act. 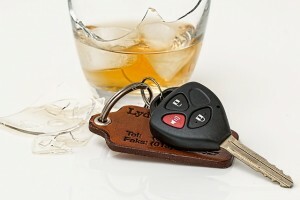 Have you been charged with a DUI in Los Angeles? Jon Artz is a DUI lawyer who understands what it takes to get the best possible outcome for his clients. Call him at (310) 820-1315 or fill out this online form to schedule your private consultation today!